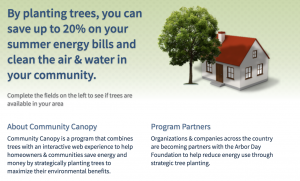 You can get two free trees or bushes (your choice) as a Com Ed customer with code ComEd19EAB. I just ordered two Indigo Bushes, since they’re native to the area and I LOVE planting trees and bushes. The code didn’t work for me. Bummer! Hope someone else has better luck. Thanks anyway! Code didn’t work for me. Says need to enter code from my ComEd bill. No code on my bill. This is so weird! I used that code and got an email confirmation for my two bushes almost immediately! Possibly they ran out what was allocated for ComEd customers, but it doesn’t say anything on the site.